I enjoy making and wearing costumes. Cosplay. Get it? I’m Olaf the Snowman! Halloween. What does the fox say? My now college-aged daughters grew up wearing homemade costumes, and now create them for themselves. My husband, on the other hand, does not like dressing in costume. In fact, I cannot show you the photos of him in his Hunger Games costume. 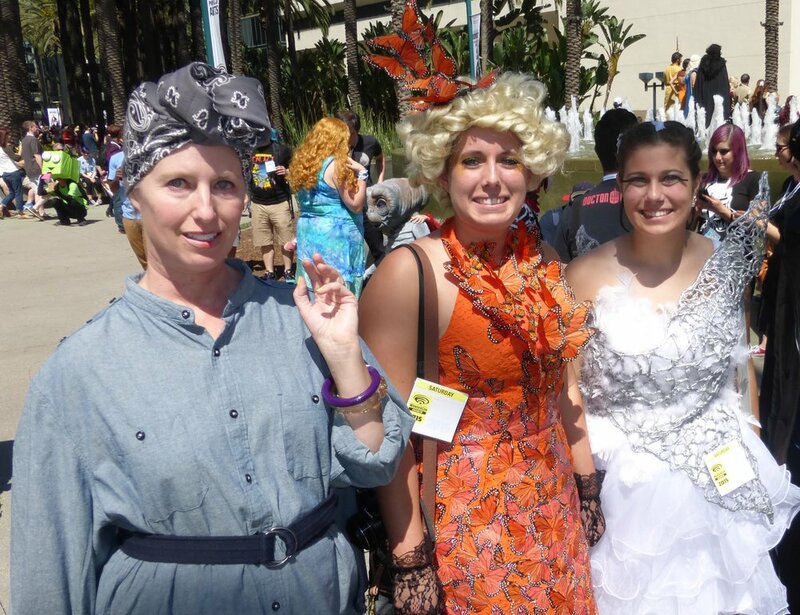 Hunger Games cosplay. We look good, my husband looks miserable (so I edited him out). In this video lesson, I show how to create one example of a partner costume, for when your partner is unwilling. What is the issue? Being comfortable? Looking unusual? Both of these issues go away when you dress up as the American Gothic painting! What are some other ideas for partner costumes with an unwilling partner?